Grab this Hot Deal while it lasts. 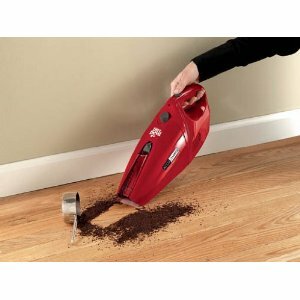 Today only the Dirt Devil AccuCharge 15.6 Volt Cordless Hand Vac is just $29.99. There is a shipping charge of $8.39 but this still means it is way less than the usual list price of $69.99. This is listed at $78.48 at Sears and you can have it today for $38.38 Shipped. Quick Flip Crevice tool on board. This gets 4 Stars on Amazon with over 200 reviews. As this is a Gold Box Deal you have to log into your account, and may not see the discount until you place the item in your cart. The discount will then show.